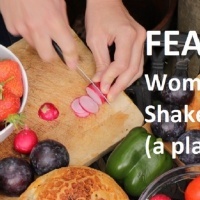 Our theatre programme continues in April with a novel piece inspired by Shakespeare’s dramaturgy and written by London-based Romanian actress Olivia Negrean, entitled ‘Feast (a play in one cooking)’. Six of the Bard’s female characters are brought to life by a cast of female actors of five different nationalities, including the writer herself. As they start to understand each other’s lives, Isabella, Lady Macbeth, Ophelia, Lady Anne, Imogen and Emilia debate on the importance of literature and what it means to be a woman in a world-famous story. Directed by Philip Parr, the play tackles various topics from feminism, equality, mental health, sisterhood and community to the right to speak one’s mind, magical realism and contemporary Shakespeare. Running time: 1 hour. The show will be performed in English. 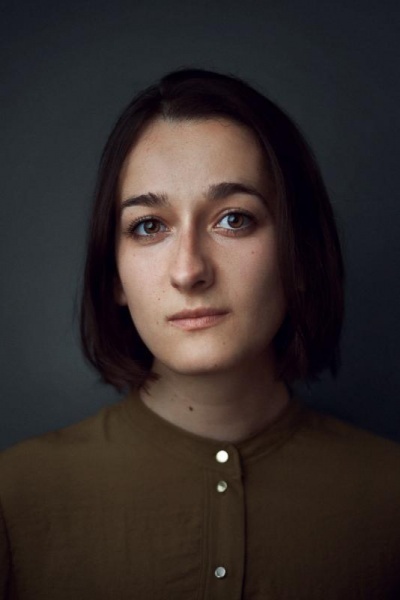 Olivia Negrean is a Romanian actress and playwright based in London, who has a great passion for Shakespeare and wants to bring the female characters of his plays to the forefront. 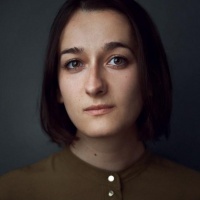 She has done so through FEAST (having written the play and performing in it), but also as an actress and assistant director for two different Shakespeare productions that were created for the International Shakespeare Festival in Craiova, in 2016 and 2018, respectively, where she performed in ‘Romeo and Juliet’ and ‘Midsummer Night’s Dream’. Apart from creating her own work, Olivia collaborated with the Romanian Cultural Institute on two projects that promoted Romanian/Hungarian writing and Romanian history: Andras Visky’s play about a young Mother Teresa and a play about Ecaterina Teodoroiu, written and directed by Liana Ceterchi. Philip Parr is the founder of Parrabbola theatre company, which focuses on theatre that tells the stories of communities - whether geographic, cultural or social. Philip has been invited two years in a row to direct Shakespeare plays for the International Shakespeare Festival in Craiova, Romania and has previously worked with Romanian actress Alina Serban. Philip is a founding council member of the European Shakespeare Festivals network and Director of the York International Shakespeare Festival. Wednesday 10 April, 19.00: Please register here. Thursday 11 April, 19.00: Please register here. Free entry. Please confirm your attendance on Eventbrite at the links above.